How many of you sometimes wake up craving chocolate? I am sure most of you can say yes to that statement. I certainly can…. 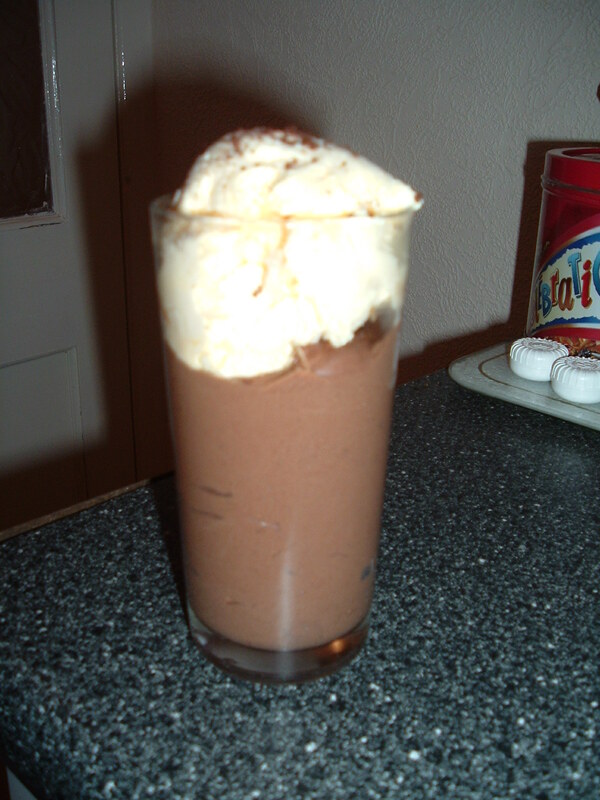 Then a wonderful recipe to try will be a chocolate mousse…. Here is a very easy to follow recipe and it is very rich, so add a few scoops of ice cream with it. 1. Beat the eggs together for about 5 minutes. Add the cocoa and icing sugar and mix. 2. Beat the cream and keep in a separate bowl. 3. Melt the chocolate and add to the egg mixture. 4. Add the cream last and fold everything well together. 5. Place spoons full of mixture in wine glasses (to look pretty) and put in the fridge to set. 8. Add a scoop of ice cream on top when serving.